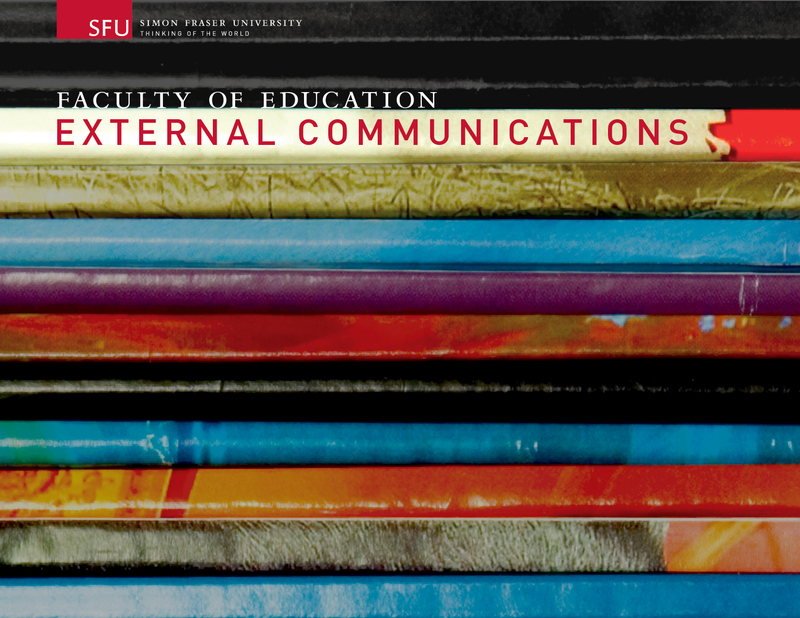 We began working with the Faculty of Education at Simon Fraser University (SFU) in 2006, just before the University was rebranded by KARO. 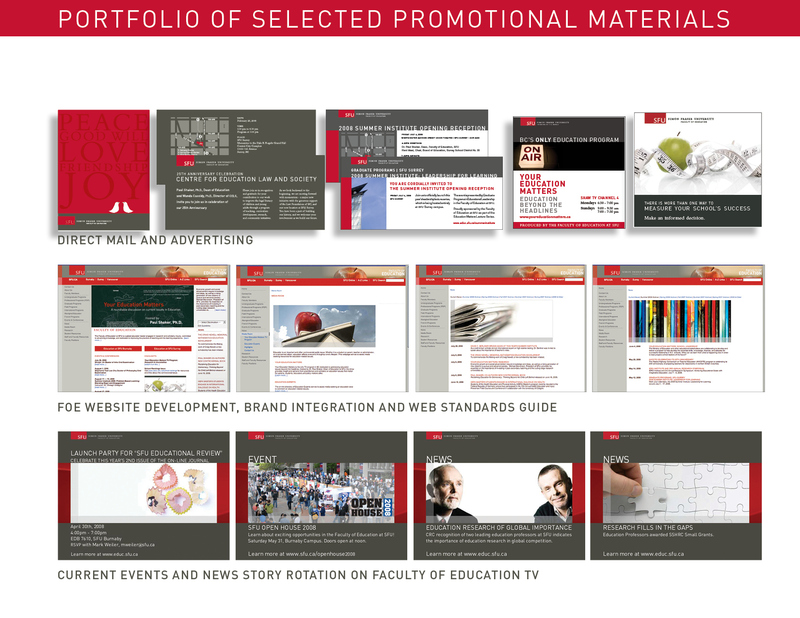 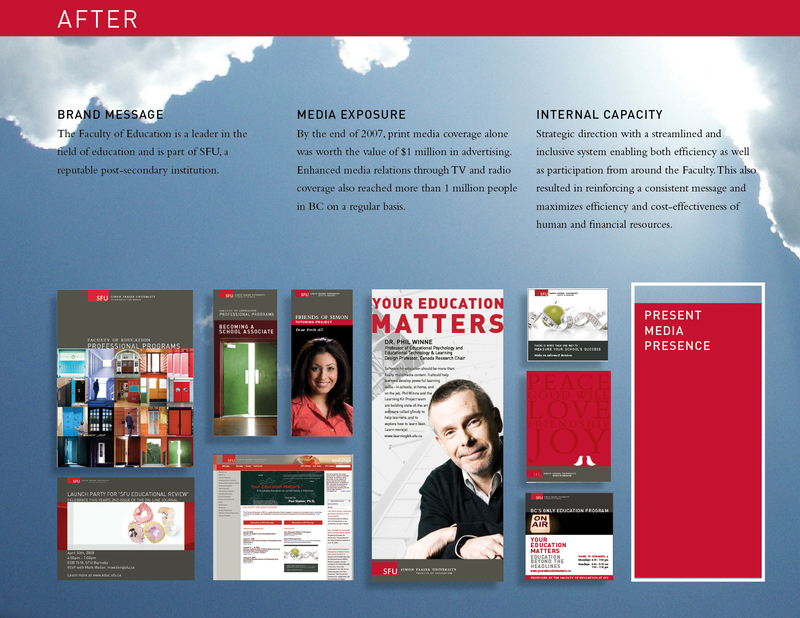 It was a great experience for Stringbean to work with the new brand standard and apply it to the Faculty of Education's external communications, including their website, presentations, brochures, direct mail, media kit folders, internal templates and display materials. 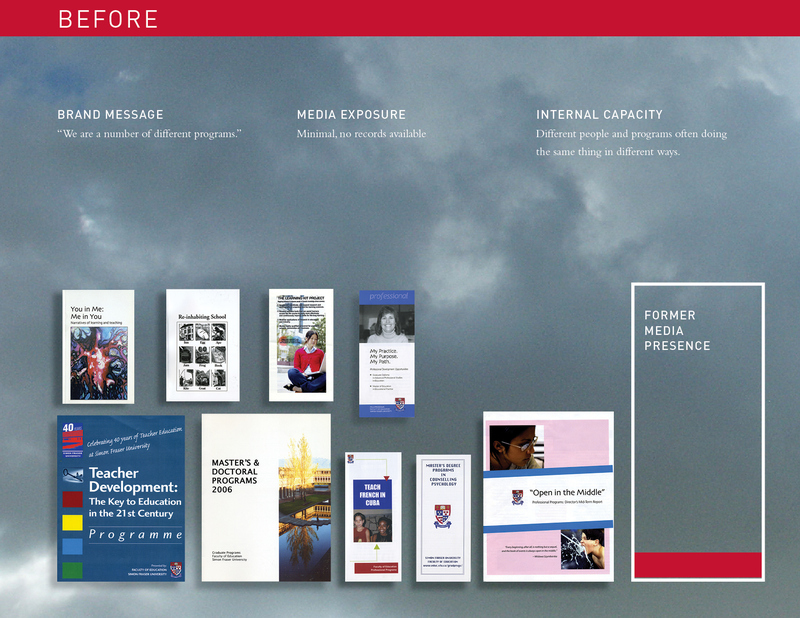 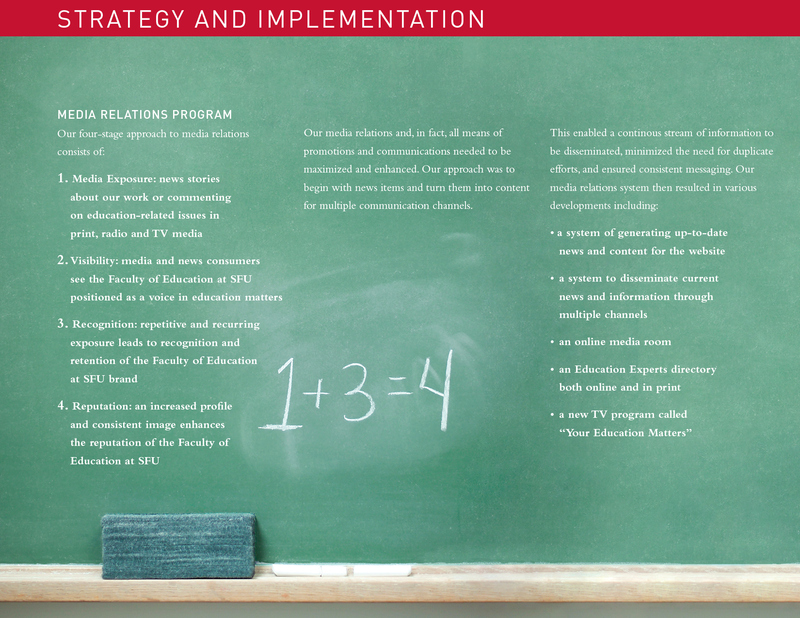 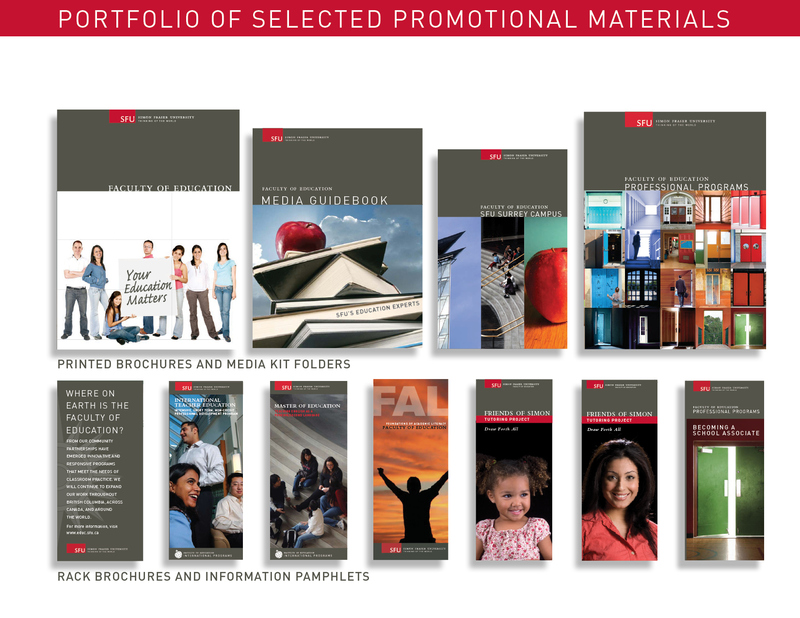 Over the next 3 years, Stringbean Design helped to develop a cohesive look and feel for the Faculty of Education, consistent with the overall SFU brand.